I've been kinda quiet this month, i think because I posted almost every day last month, I was a little burned out. But on Sunday, there was a "Ring of Fire" solar eclipse and we were in a near prime viewing location just north east of Sacramento. I didn't get any photos of it personally because unless you had a special filter it would ruin your camera, but we did have special viewing glasses and it was one of the most amazing things I've seen. This photo shows exactly what we saw through those glasses. So cool! These are pics from Jimmy's cousin who used an old xray for a filter, which he admits probably wasn't good enough to block out the harmful rays but the photos are amazing!! 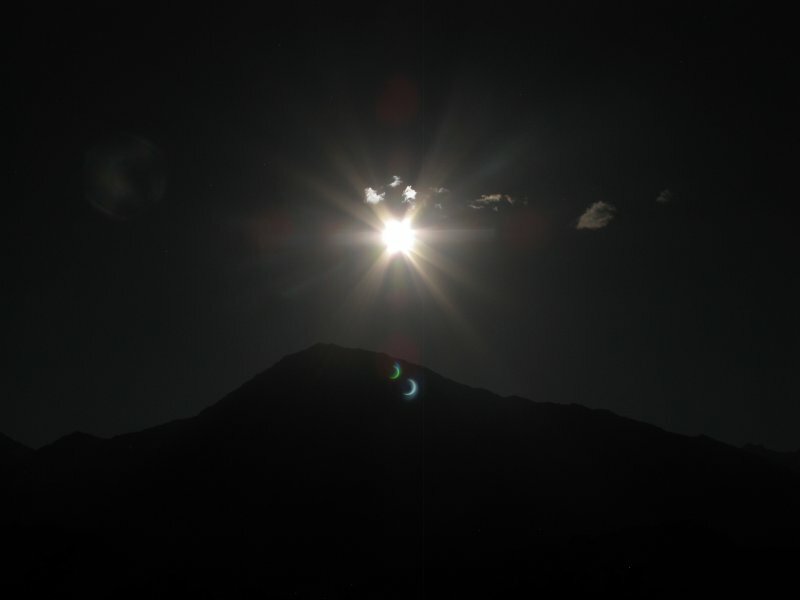 Check out the cool lens flare that shows the eclipse. It doesn't look like much if you have no idea what you're looking at, but this colander made a hundred different eclipse shadows in each of the holes. 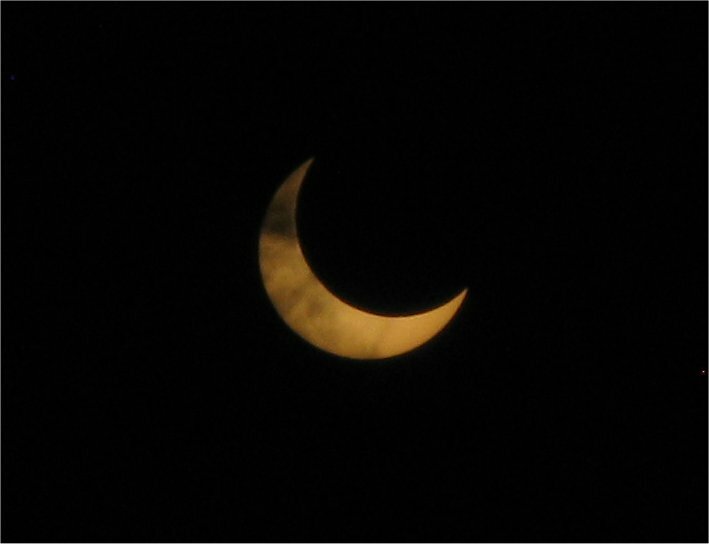 the crescent shape is made from the moon blocking the sun. basically, we used the colander as a pinhole projector. 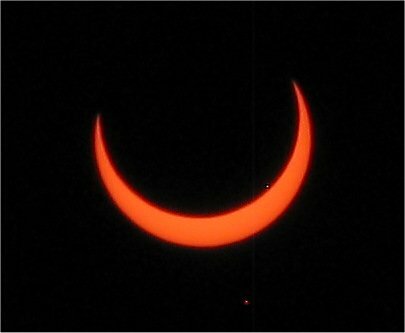 It may seem silly, but it was a lot of fun and a really cool effect while viewing the eclipse. Please check out wiki's link here for more detailed information and a lot of really cool photos. Magnificent photos - I love the colander pics very inventive. we were out shopping and saw people looking away from it with a piece of paper with hole in it so we did the same thing when we got home and saw its crescent beauty. I didn't know anything about this until it was all over, but it wasn't visible here anyway. Love the colander idea. So cool that these things can be predicted so exactly. Just imagine how scared early civilisations must have been when they experienced these heavenly events! especially when they were predicted by the high priests and told the end of the world was coming if they didn't smarten up!